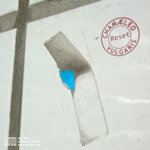 In November 2011 the french duet Chamæleo Vulgaris put out the new CD "Reset" on Acheulian Handaxe (NYC), Hans Tammen’s label ! 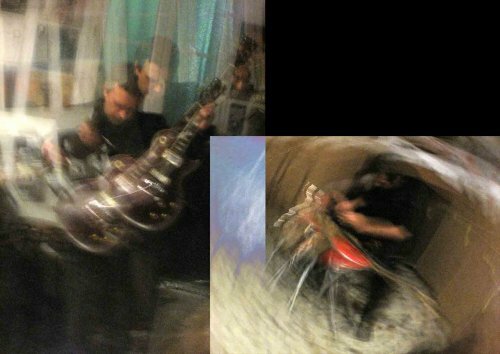 Chamæleo Vulgaris is invited to perform this program in 2012 at "The Stone", in NYC. 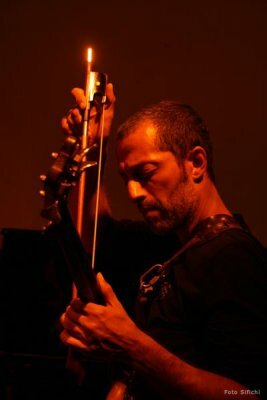 Created in 1993, Chamæleo Vulgaris is a band having oscillated between two and ten musicians, before being resolved, as initially, as a duet : Frederick Galiay plays the bass and Jean-Sébastien Mariage the guitar (few members were B. Denzler et G. Roggi, F. Vaillant, H. Koch, H. Poulsen, M. Collignon, O. Benoit, D. Ashour…). Both amplifiers face each other, both musicians are in the center, the public goshawk. The principle of the installation is to establish the most direct contact between the gesture and the sound, the string and the loudspeaker. The electric sound is an organic, acoustic matter in the full sense : guitar, bass and amplifiers (without any addition of pedals of effects or digital electronics), are not separated, but are the same instrument. The sound limits of the instrumentarium are deliberately repelled, its ambitus is widened. The sound is bitter, full, precise. The dichotomy suited between improvisation and composition is considered as invalid : Chamæleo Vulgaris composes spontaneously, real time, sound frescoes where the moment is an urgency, and the time construction. After "Dans la Chair" (1997), "Ouverture facile" (1999), "Les Falaises", "Toter Hirsch" (2000), "Inversus Doxa" (2001) and "Rebut" (2003), a new project is just recorded : "Reset", witch, after a sound recording break, many concerts, and a consequent number of parallel projects, is a restart of a work which reaches its almost twenty years. "Since 1993, bassist Frederick Galiay and guitarist Jean-Sebastien Mariage have explored the uses and sounds of their electric instruments and amplifiers in an environment as immediate and natural as possible. As Chamæleo Vulgaris, the duo use minimalism and tone, feedback and resonance, to tell their tale. Recorded in Paris in 2011, live and without effects pedals and with the musicians sitting facing each other along with their amplifiers, "Reset" celebrates the duo’s intimate approach to their instruments, an improvisational interplay in which naturally generated sounds act as a third member. The audience normally would sit around the musicians, creating not only intimacy but other acoustic opportunities. "Pūjā" opens the eleven song set with humble fanfare. Meditative, sparse and metallic, it announces the environment the duo are creating, without completely showing all their cards. After such a seemingly passive opening, "Skhêma" announces its single note boldly, and various fitful, agitated gestures, that give the impression of cymbals but are again organic to the instruments and amps. "Pshat," the longest track at just over thirteen minutes, paces itself through silence with deliberate tones that sound like argumentative birds or dueling wine corks. "Boo Murgel" follows. It is minimal but chaotic and assaultive, an explosion of feedback-and-string-conjured demons. As an example of the blending of the various ideas explored, "Yoni" is an exercise in sounds, both loud and soft, sustained and muted. "Tabula Rasa" and "Drash" end the set with more silence than sound, more echo than statement, creating a somber but bright hymn-like feel. "Reset" is not easy listening, but it ought to sound familiar. By building off of natural acoustics and sounds generated by the nearness of their instruments and amps to each other, Chamaeleo Vulgaris merely work with the natural sounds of the spaces they inhabit, however briefly. What music are you missing in your daily routine ?"